Narrow in width and low profile, the J117 Series offers high dielectric strength with F class insulation standard. 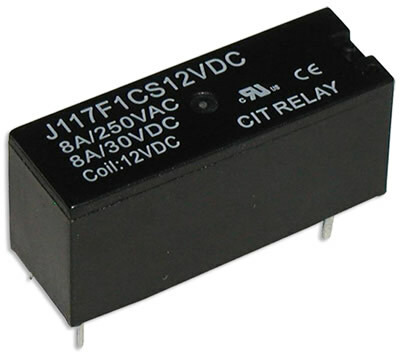 Contact arrangement options are 1A or 1C with coil voltage from 5VDC to 24VDC. Coil power is .22W. 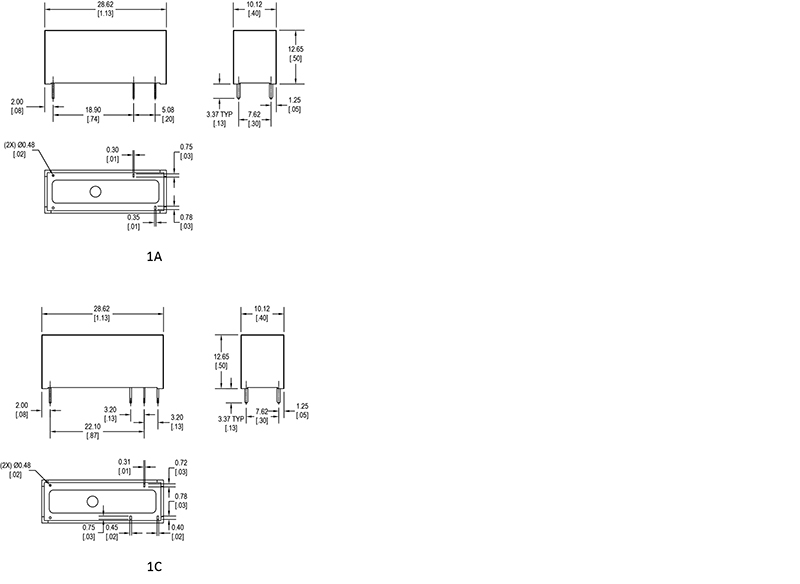 PC pin mounting, the J117 Series is 28.5 x 10.1 x 12.3mm in size. UL Agency approval is E197851.